THG movie poster. photoshopped movie poster Von me. 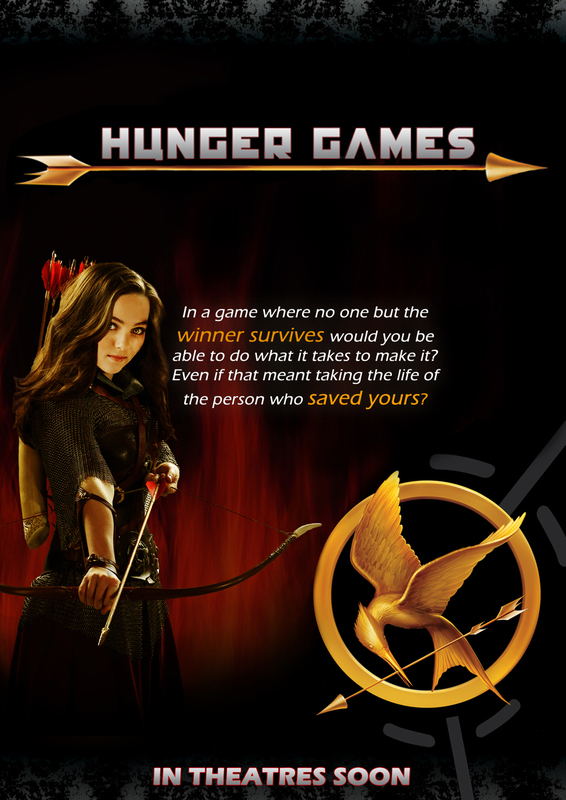 HD Wallpaper and background images in the Die Tribute von Panem club tagged: katniss everdeen the hunger games the hunger games. Nice poster, don't like who you have as Katniss though. Katniss has olive skin. She will make a good person in D12, just not Katniss. Since she hunts a lot, I always saw her with deep olive skin, like a tanner tan olive skin. Still, really good!!! No, it's not real. I think the body of the girl is from the film 'Narnia' and I think Katniss's face is the girl from 'Race To Witch Mountain'? I'm not sure. What EzmeCherise said is entirely correct :) It's just a movie-poster I photoshopped a while ago. The face is Anna-Sophia Robb from 'Race To Witch Mountain', 'Charlie and the Chocolate Factory', and a 'Bridge to Terabithia', just to mention some of her works. I liked her acting and looks for Katniss at the time I made it.